entertee’s heavy duty 1.5m barriers, often called Met Barrier, are welded galvanized steel, fitted with a steel mesh panel with a base which prevents sliding. 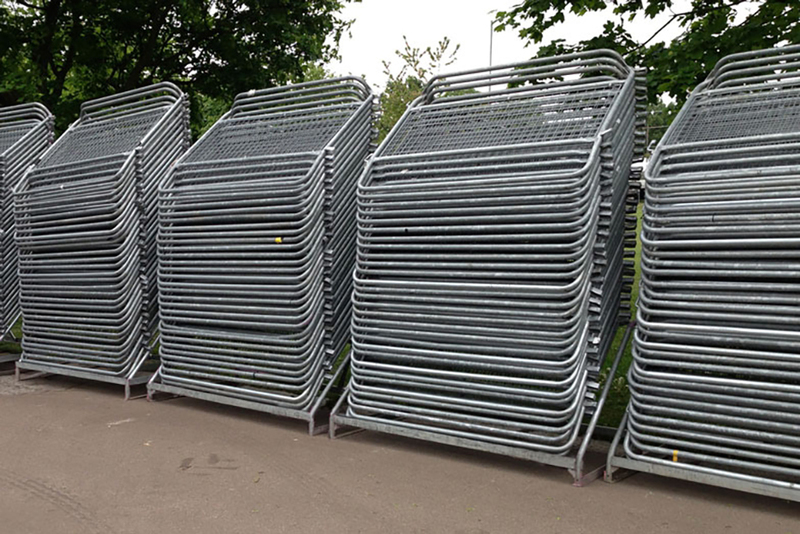 This heavy-duty barrier is ideal events or occasions with a heavy flow of people susceptible to heavy crowd surges. Suitable for demonstrations, football matches, pop concerts and where high security is needed. Also can be used on site in specific configurations to create high security areas. Compliant with British Standard 729. Generally supplied on a dry hire basis we can install if required.